You know I love when I can see the rules for a game before I buy it. 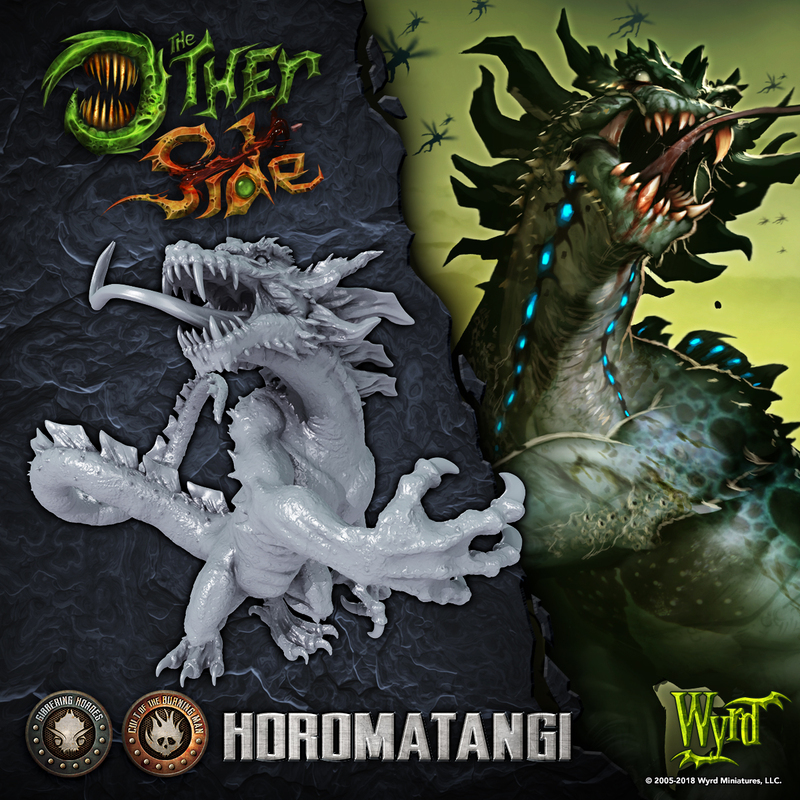 And that's just what Wyrd Games has done with The Other Side. 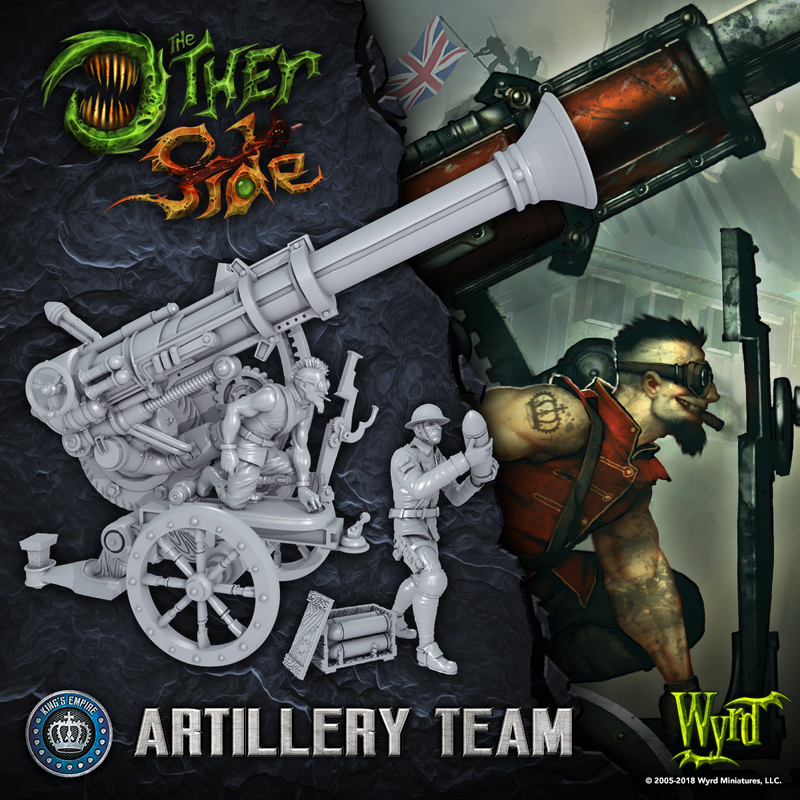 Find out what's been going on in the real world while all sorts of things have been happening in Malifaux. 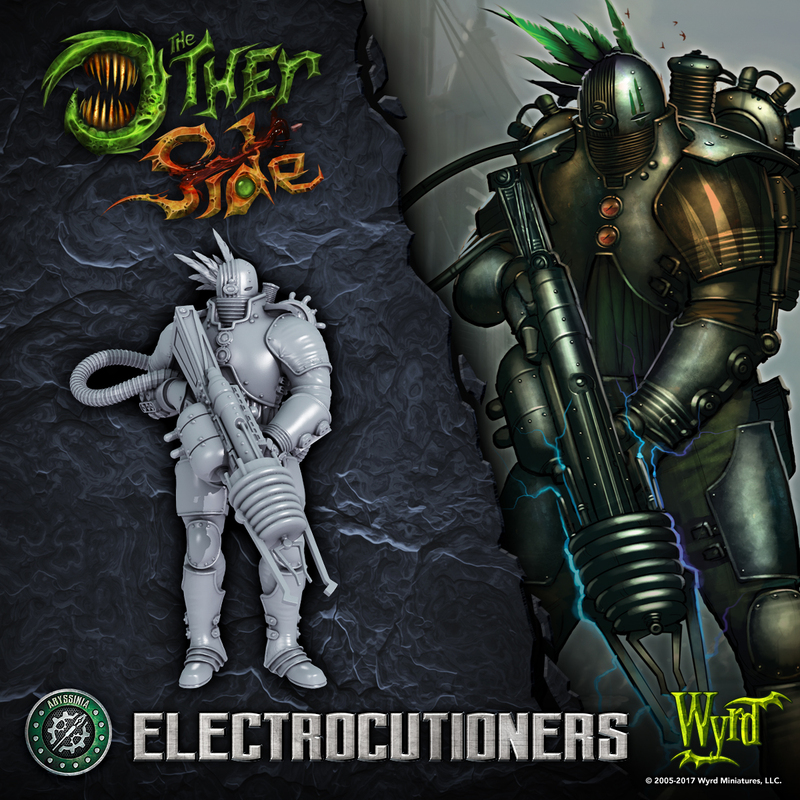 The rulebook as well as unit stat cards are available to download now. 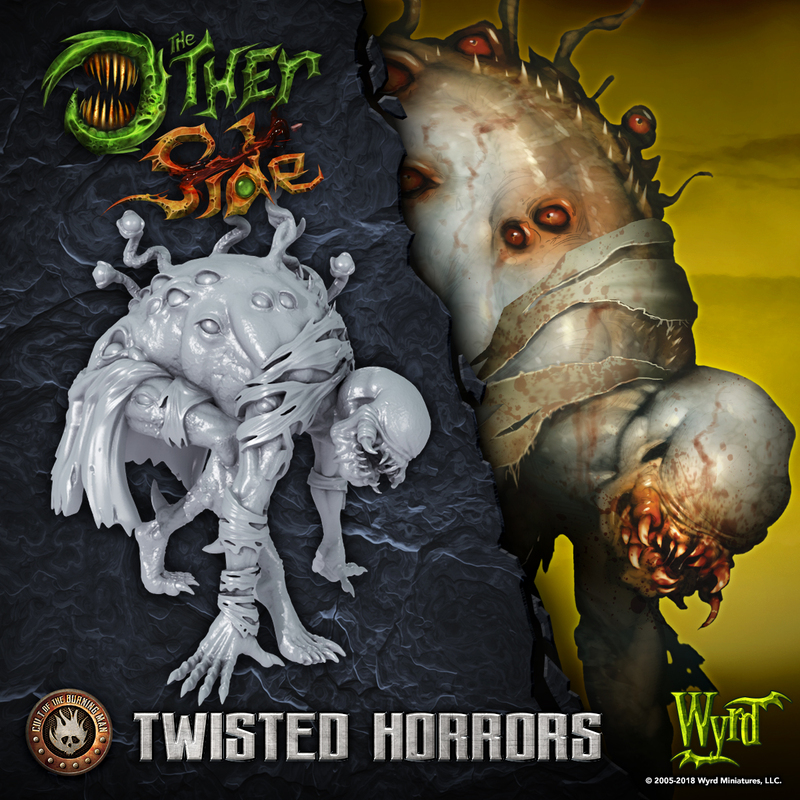 Well, I mean, I realize we just passed Valentine's Day, but the vibe I'm getting from the new The Other Side preview from Wyrd is decidedly more Halloween. You know, I bet it's a real pain when you get something stuck in your eye that's in the middle of your back. That's gotta be annoying. 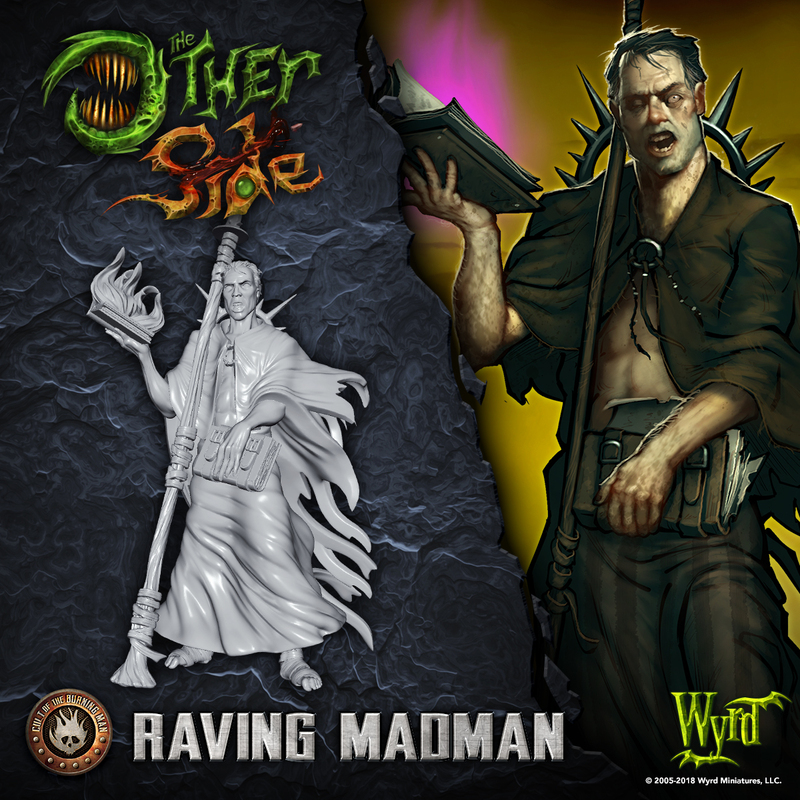 The Gibbering Horde is on display once more as Wyrd makes your Friday (a day which is already damn cool) even better. 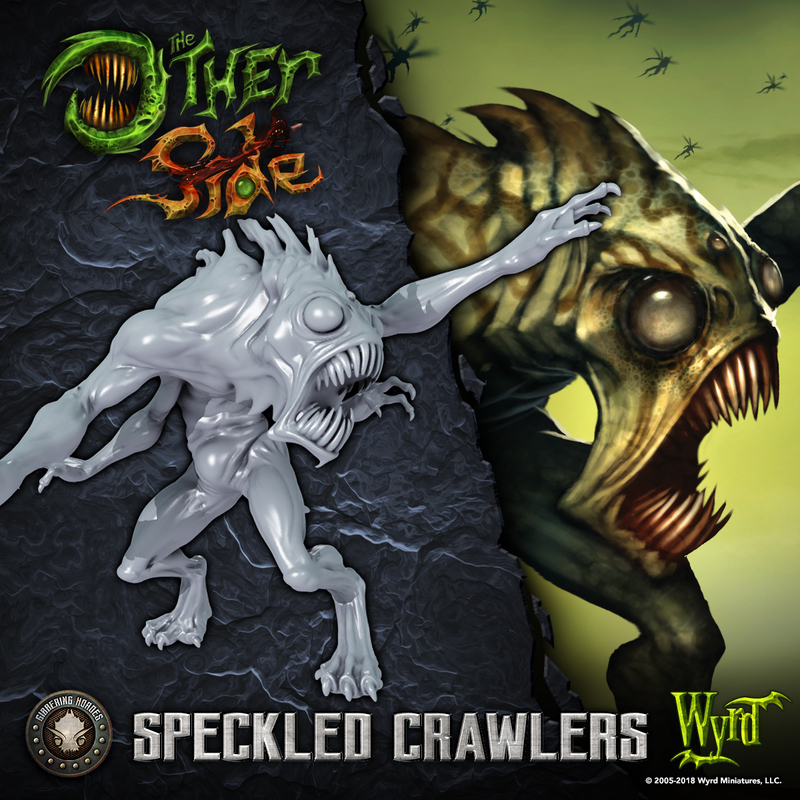 We get a look at the Speckled Crawler for The Other Side. Fridays are pretty damn good all on their own. 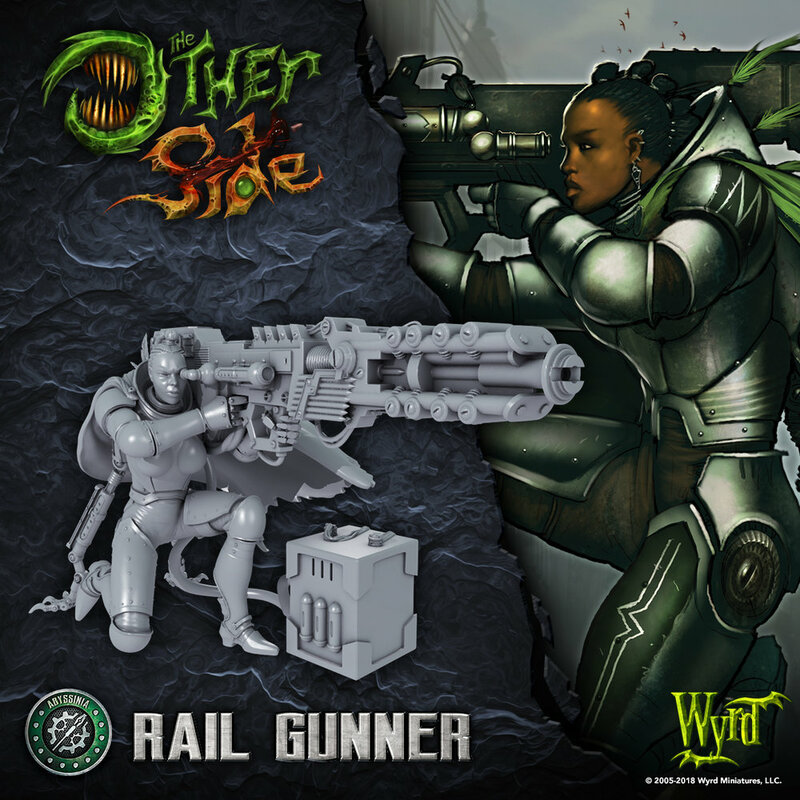 But then Wyrd has to go and make them even better with their regular previews. 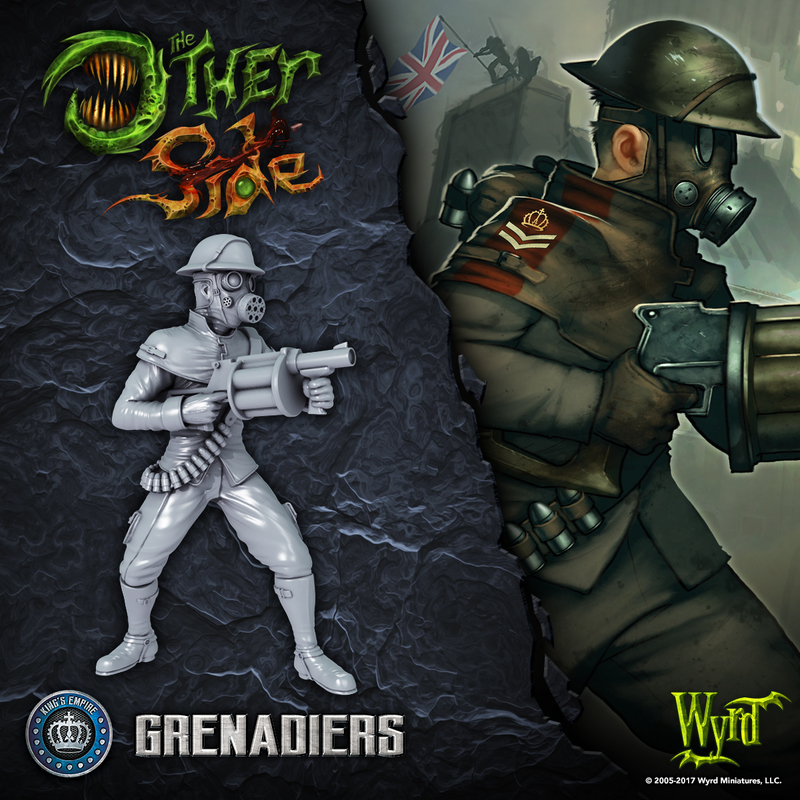 This week, we get another The Other Side one. It's The Broken for the Cult of the Burning Man (always kinda wanted to go to that). See what they'll be bringing to the party. We all know how much I love Fridays, and today's shaping up to be a pretty damn good one. 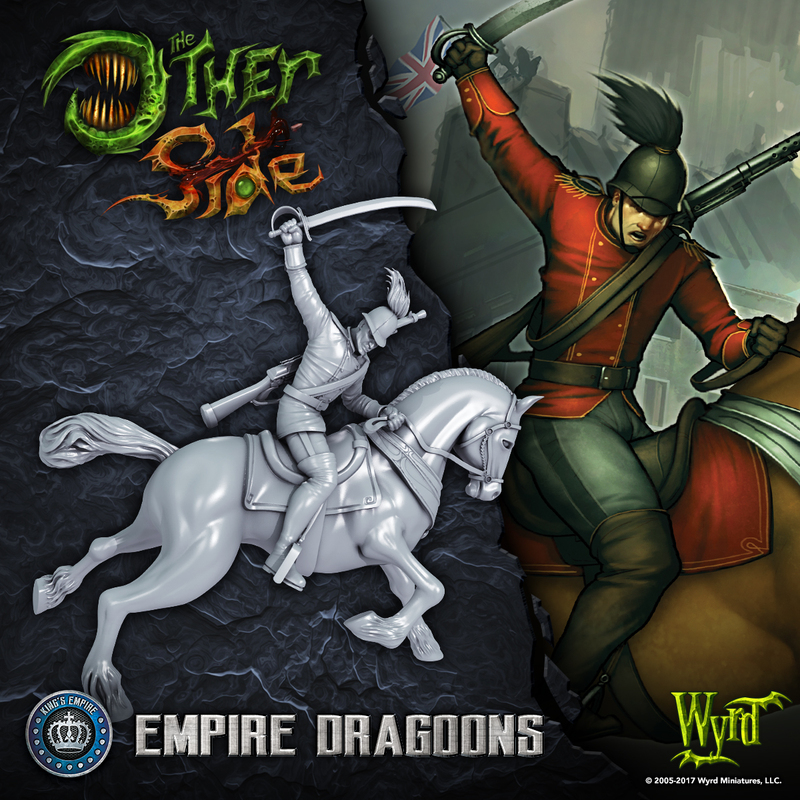 Of course, adding to the excitement is Wyrd's latest preview. 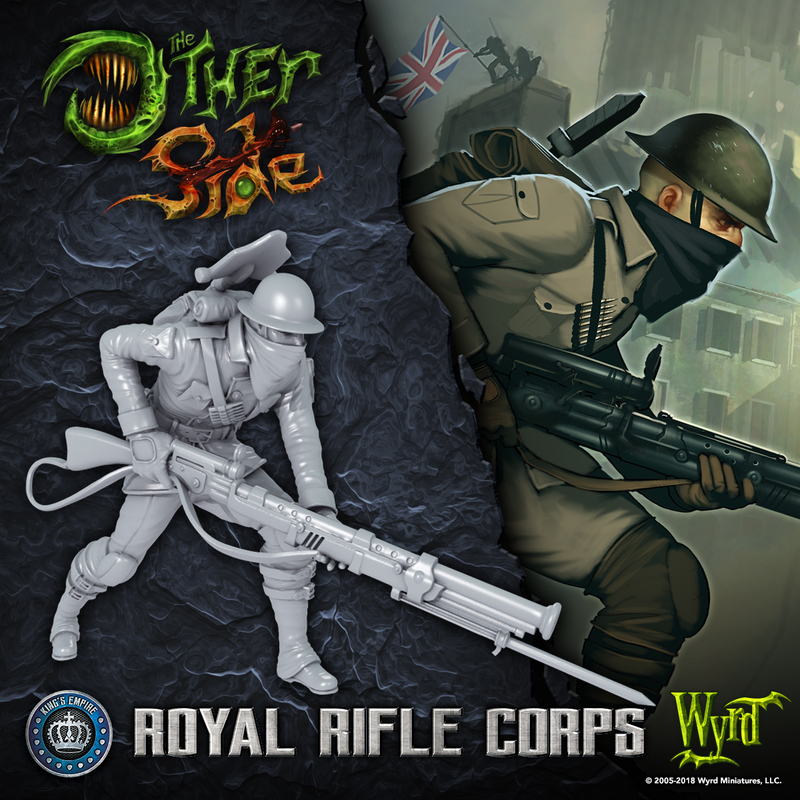 This time around, it's a look at the Royal Rifle Corps for The Other Side. Though it may be the new year, some things remain the same. I'm still in my same Friday shirt. I'm going to have pizza for dinner tonight. 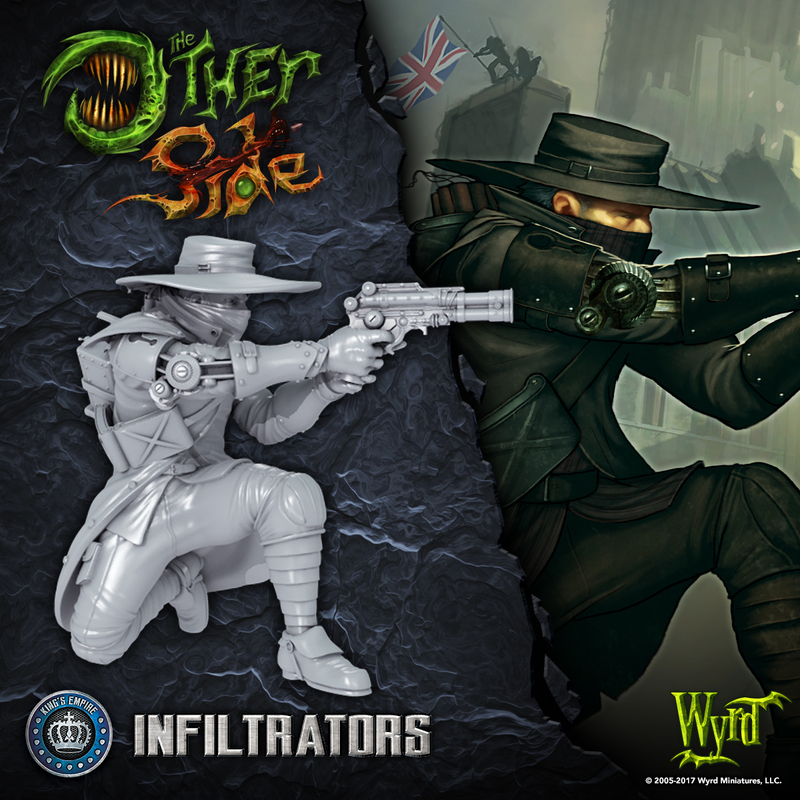 And we've got our regular Friday Preview from Wyrd. 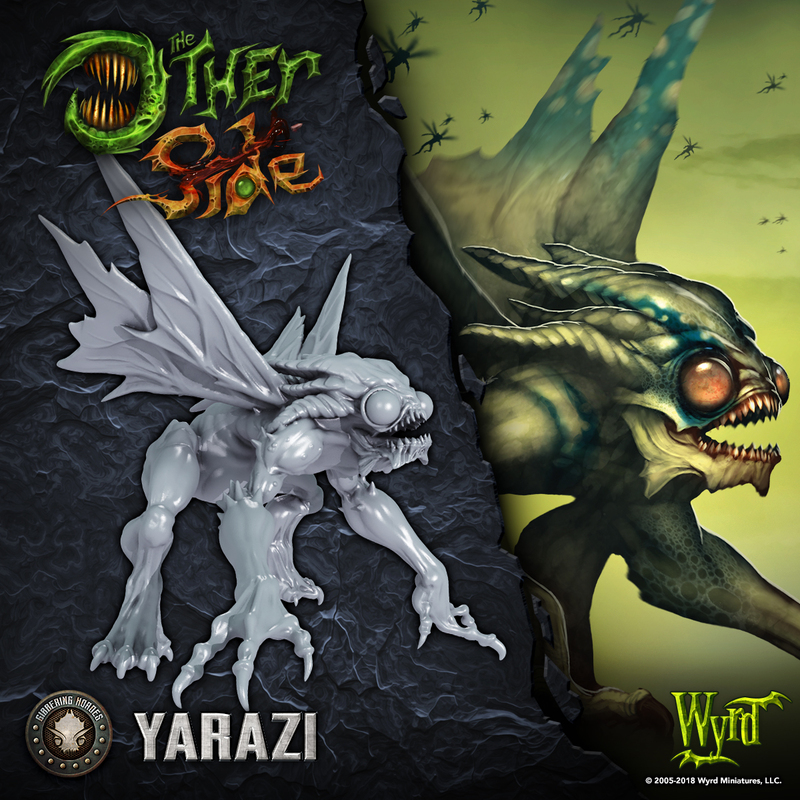 This time around, it's the Yarazi for The Other Side. A long, holiday weekend is coming up. 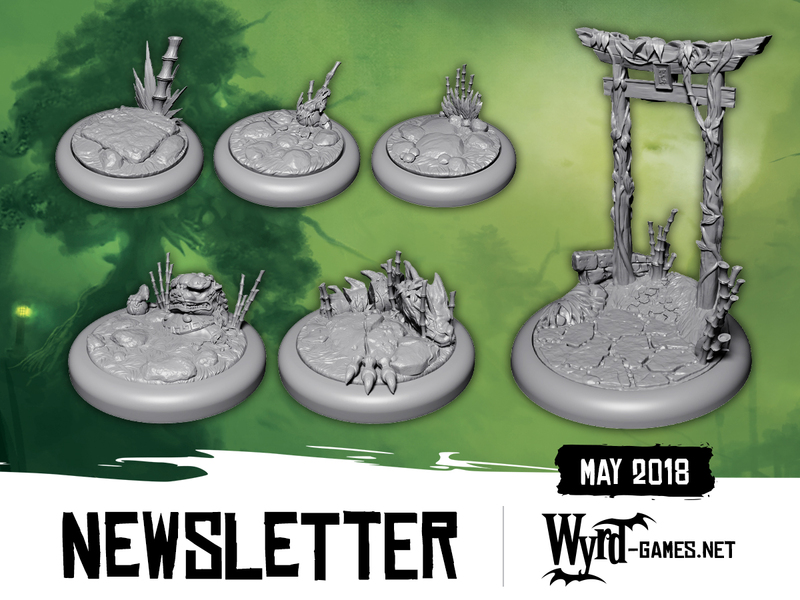 The only thing that could really make things better is a preview from Wyrd. And here we are! 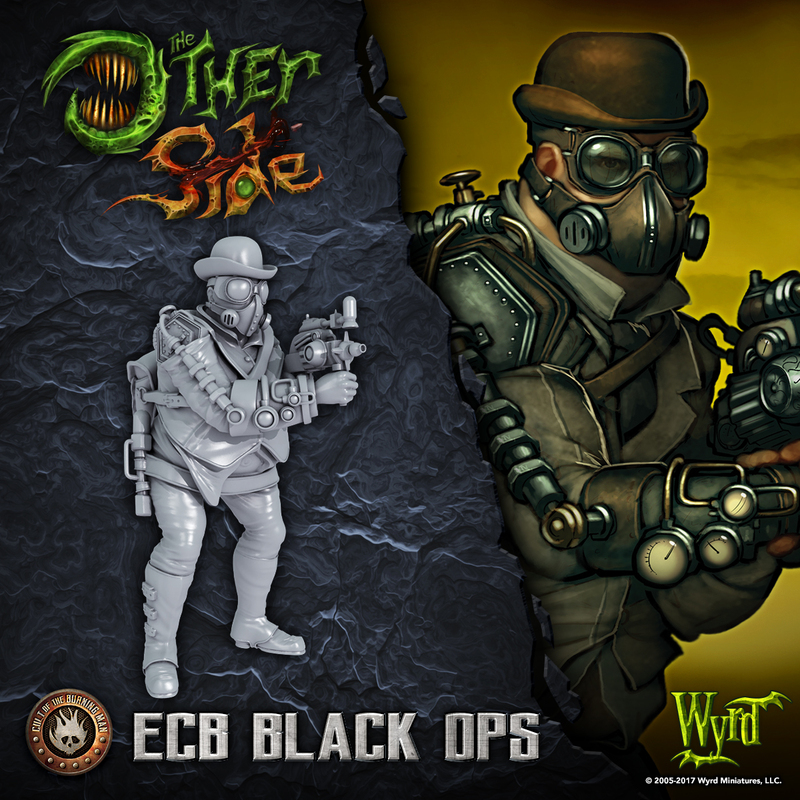 This time around, for their The Other Side preview, we get a look at the ECB Black Ops. 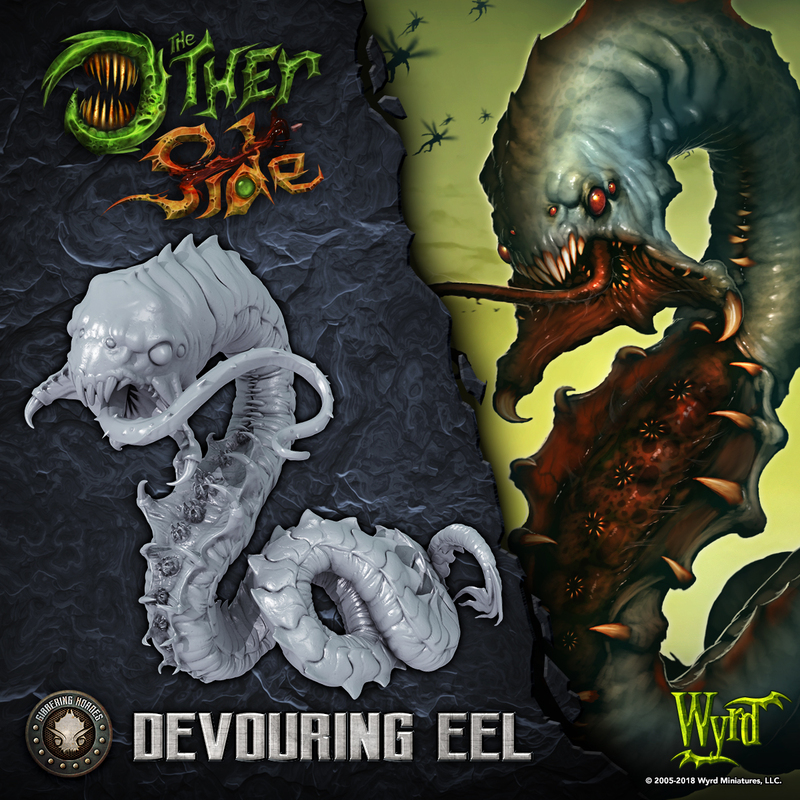 While I'm taking the day off, the folks over at Wyrd aren't. They've got their regular Friday preview up. 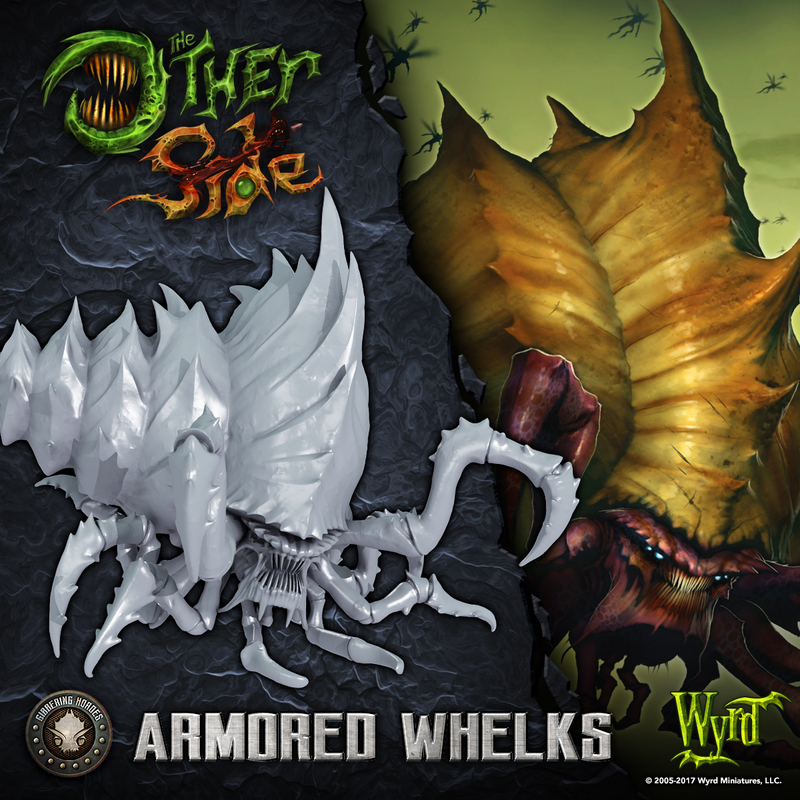 This time, it's the Armored Whelk. ... Man, the last time I thought about whelks was the last time I watched that Monty Python skit where John Cleese does the nature documentary in the middle of the people's living room... Anyway, Armored Whelks (I'd name mine Lawrence). You'd think that crows would fly, or just kinda walk. 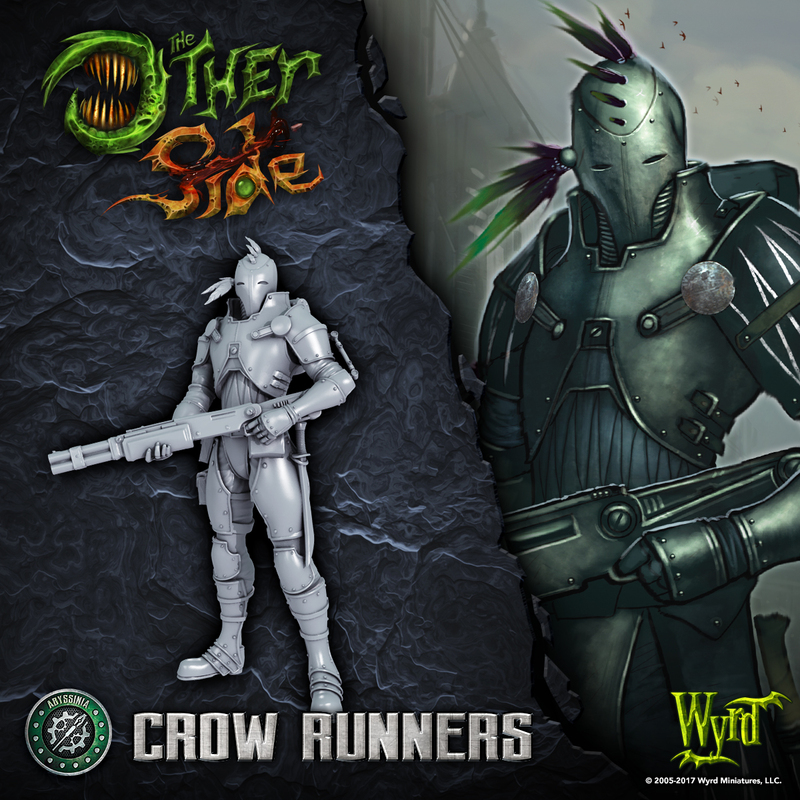 But these are Crow Runners. 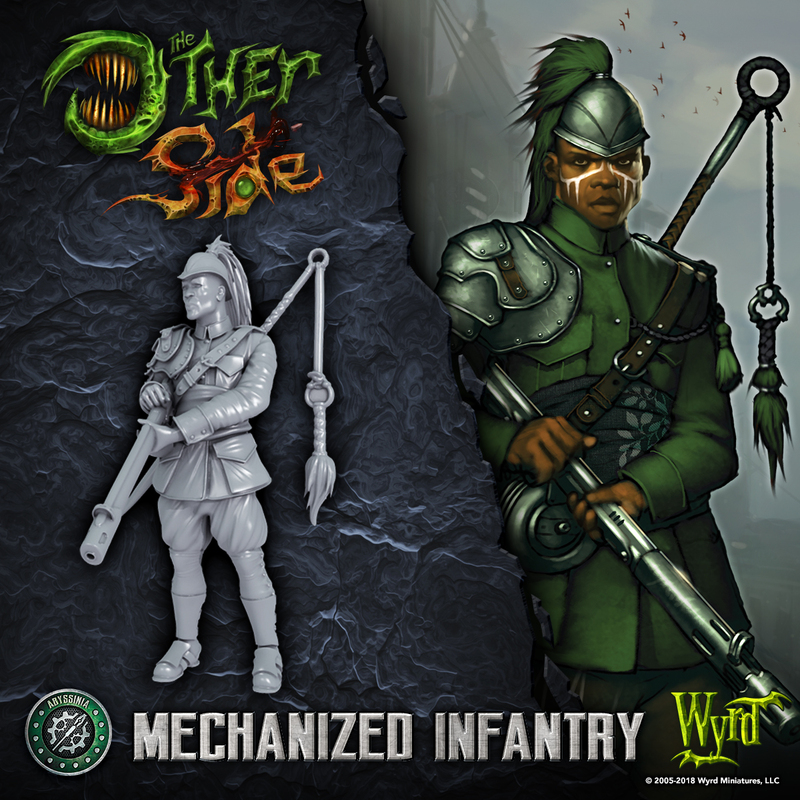 They're an Abyssinian unit for Wyrd's upcoming The Other Side minis game. 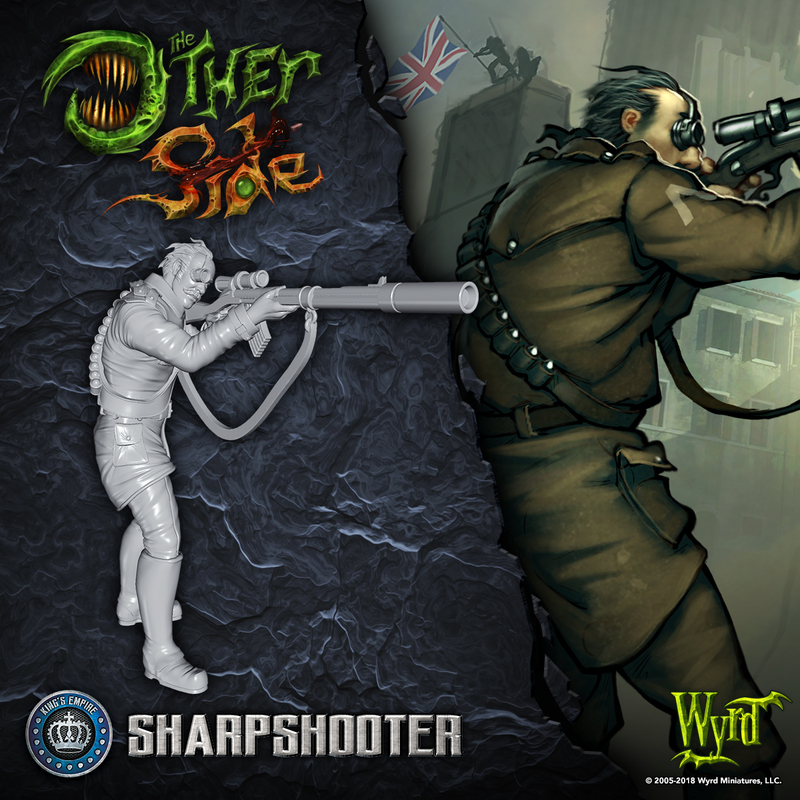 And seeing how Wyrd loves to make Fridays as awesome as they can be, they've posted up a preview. 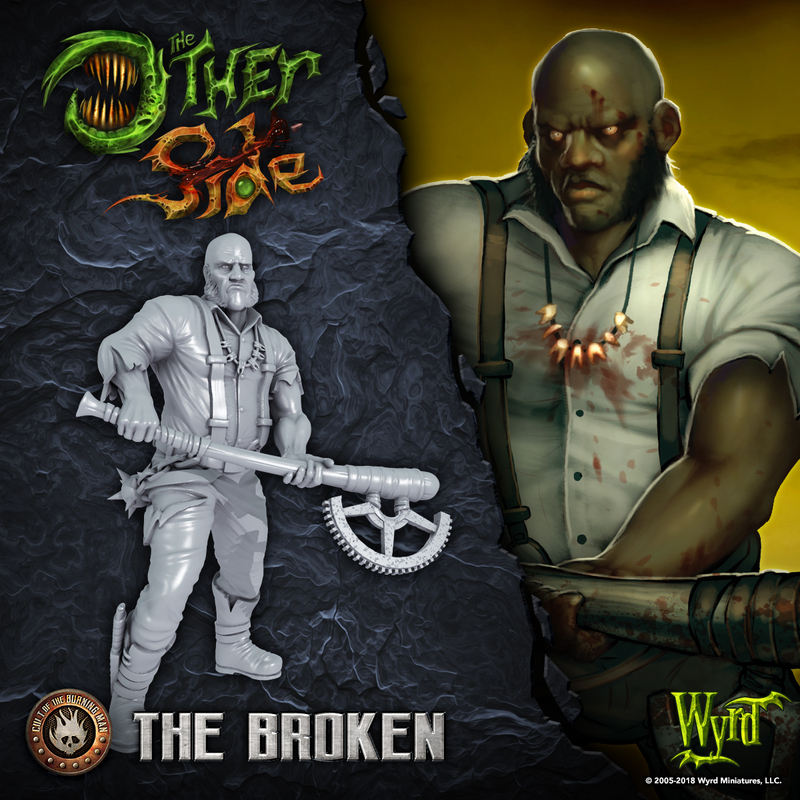 As if Friday wasn't already awesome enough (and it is), Wyrd has their regular previews they post up today. 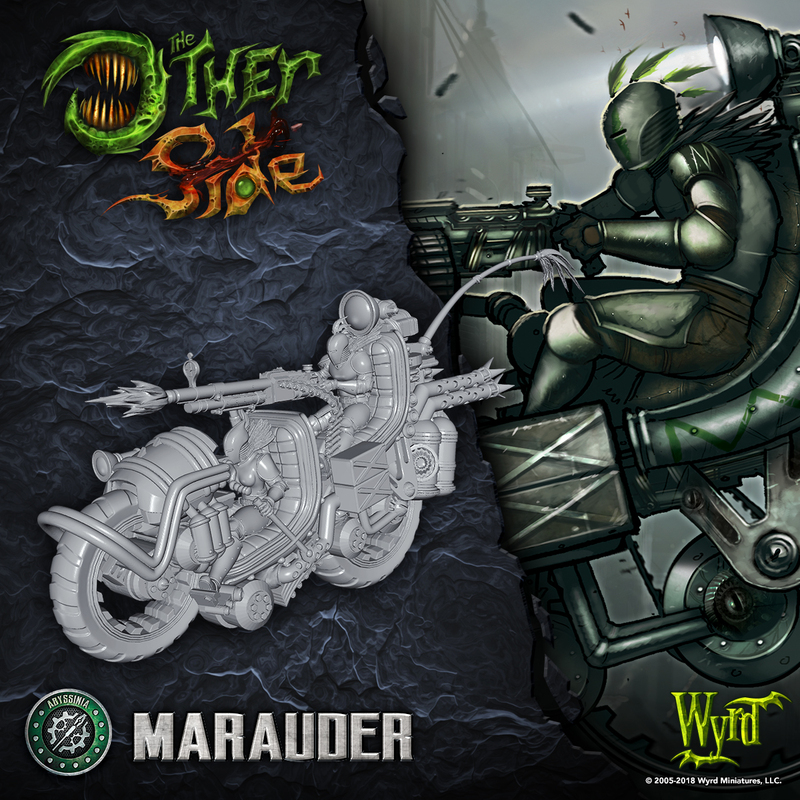 They are continuing their look at the upcoming miniatures game, The Other Side, with a preview from the Burning Man faction. This time around, it's the Warped. 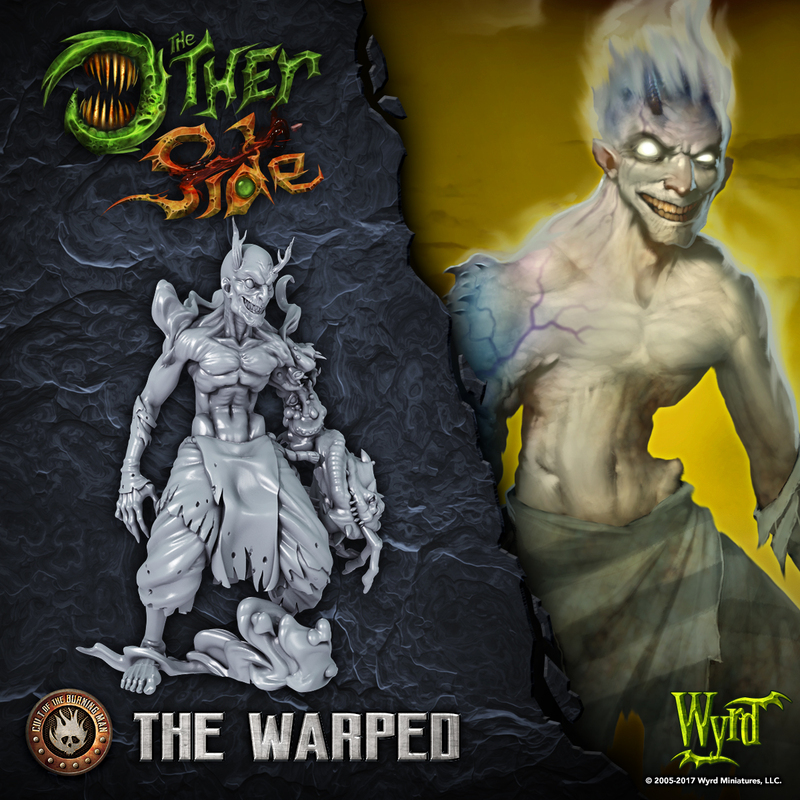 And "warped" is exactly what this model is. Check it out. 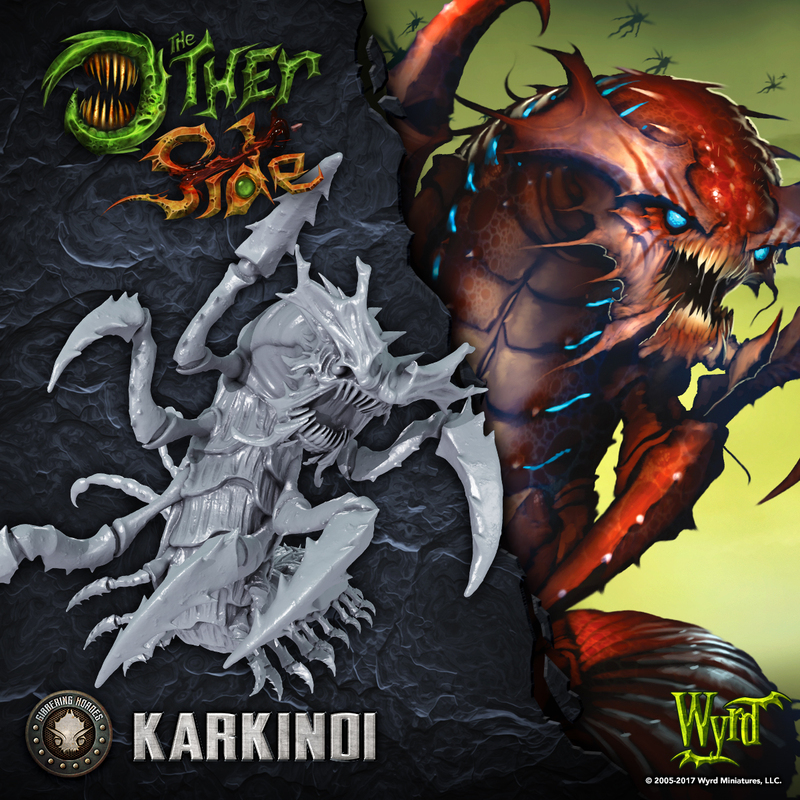 In this Friday the 13th preview, we get a look at the Karkinoi.